We are Vaillant, Worcester, Viesman and Glow-worm approved installers and can offer up to 12 year's parts and labour warranty on leading brands of boilers. Heating accounts for around 60% of your annual spend on energy bills. A new boiler runs more efficiently and can make a big difference to your monthly outgoings. Our surveyor engineers will be able to advise you on the most suitable boiler for your heating and hot water needs. We only work with the best appliances and materials. Due to ever-changing regulations and technologies, the replacement of a boiler within your home needs to be carefully looked at and designed to offer you the best return for your investment. Since 2005 all replacement gas boilers installed in new or existing properties needed to be condensing and meet the current minimum standard for efficiency. Since April 2018, the Boiler Plus legislation has been introduced meaning a minimum standard of 92% efficiency is required and there is a requirement for smart controls in some circumstances. At Town Gas we offer free service plan and annual service packages with your new boiler. Our engineers are Gas Safe qualified and have in-depth knowledge of all leading appliances, ensuring you get the right boiler for your home. While we have preferred manufacturers, those we know offer the best quality and reliability, we will install any manufacturer's appliances at a customer's request. Q. What are the advantages of modern boilers? Modern boilers are more efficient for several reasons, but their main advantage is that they are all non-condensing boilers. All well maintained boilers burn fuel efficiently, but they inevitably lose some heat in the hot gases that escape through the flue. A condensing boiler has a larger heat exchanger, so it recovers more energy, sending cooler gases up the flue and is even more efficient. Sometimes the flue gases get so cool that the water vapour in the gas condenses out, hence the name, and even more energy is recovered from the condensing vapour. Q. Which is the best boiler type? There are three main types of boiler available today. These include regular, system and combination boilers. All can provide you with heating and hot water when installed in the correct situation. There is no 'best option' when taking a general overview, but there will be a best option for you and your property which will provide the most efficient way of heating your home. The best thing to do is to ask us for expert advice. Q. What are the costs and savings for boiler replacement? How much money you could save each year will depend on how old and inefficient your existing boiler is and the fuel your boiler uses. The cost of having a new efficient boiler and controls fitted will depend on the type of system, size and appliance fitted. Q. What should I consider when replacing my boiler? Fuel type - If you have mains gas, a gas boiler is likely to be the cheapest heating option. Fuel prices as of May 2017 suggest that oil heating is currently a cheaper option, however historically oil heating has been more expensive. If you don’t have a gas supply to your home, it might be worth considering a form of low carbon heating such as a heat pump or biomass. With the renewable heat incentive these may be a cheaper overall option. Alternatively, you may want to get a gas connection to your home. The company that owns and operates the gas network in your area may be able to help with the cost of getting a new connection, and it may even be fully funded. Contact Energy Networks Association for further information. Q. Your hot water usage? Large families using lots of hot water are likely to be better off with a regular or system boiler combined with a hot water storage system and possibly even some solar thermal technology, whereas smaller households using less hot water may be better off with a combi boiler. Q. Space in your home? Combi boilers don’t need hot water cylinders, so require less space in your home. This is perfect for growing families using loft space or who need every inch of storage. 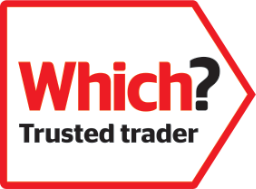 If you're still unsure which boiler may be best for you or have any questions please feel free to contact us. We will be happy to visit you for a no-obligation quotation.